Montrésor, which translates to “my treasure” in English, is just that. 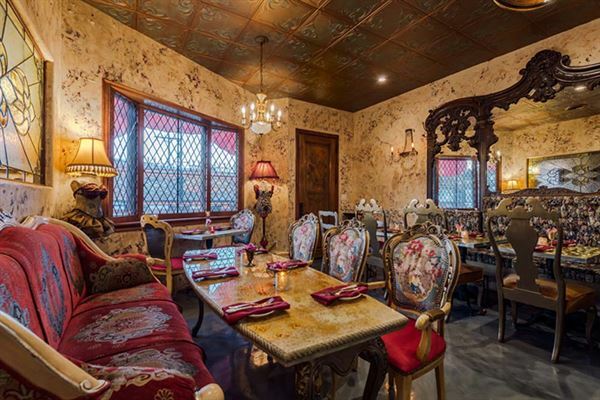 Tucked away on Ventura Boulevard, Montrésor was designed with a 1920’s French theme in mind, full of vintage design and re-purposed decor at every turn. A vintage refurbished headboard serves as one of the restaurant’s benches while the 8-foot reclaimed wooden doors are recycled from a winery in Orange County. Every hand-picked piece at Montrésor tells a story, full of whimsical inspiration. As guests sit amongst playful, French vintage decor in the heart of Studio City, each of their senses are playfully indulged leaving one feeling delighted and sentimental. Vive La France and Vive Montrésor! Like the famous wine regions of France, Montrésor has an eclectic wine list to perfectly pair with Chef Shoemaker’s menu. Enjoy the Château Haut Rian from Bordeaux or a glass of the Saint-Véran blend from Burgundy as each wine is offered by the glass and has been handpicked to accompany your meal. Montrésor is available for semi-private or private events. Appetizers: • Kumamoto Oysters • Bib Lettuce Salad • Pork Belly • Asparagus • French Onion Soup • Belgium Endive • Beef Tartare • Foie Gras Torchon • Crab Cake • Bouchot Mussels Entrees: • Black Winter Truffle Gnocchi • Rhode Island Black Bass • John Dory • Salmon • Coq Au Vin • Duck • Short Rib • Beef Tenderloin • Lamb Loin Dessert: • Cream Brûlée • Profiteroles • Butterscotch Panna Cotta • Mixed Berry & Honeycomb Vegan and vegetarian options available on request.